Who They Are: A mainstay of Washington DC since 1955, CQ and Roll Call provide non-partisan insights into our government through reporting and analytics. CQ + Roll Call regularly hold events that offer insights on what’s happening in politics and the projected impact on both foreign and domestic affairs. 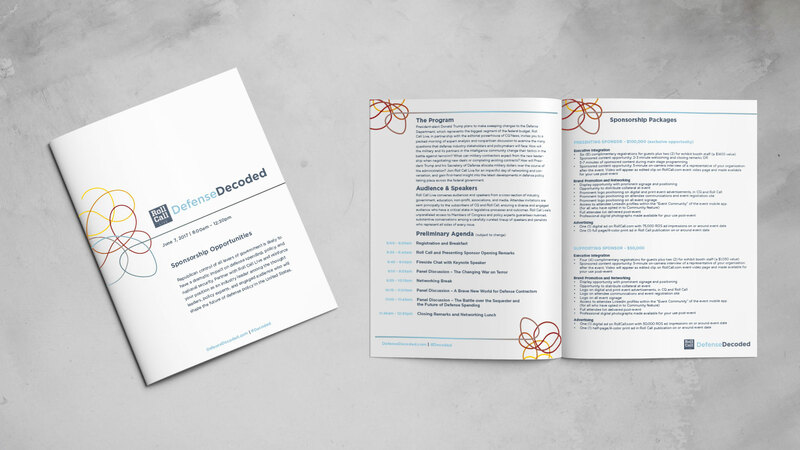 The brief was simple when CQ + Roll Call approached me to create an identity and shared visual language for a series of events that aim to demystify certain hot button issues within the government: It must work together, and stand strong on it’s own. What came from it was a set of word marks that were distinguished by their color palette, but used a global visual icon across the set to unify them into a series. 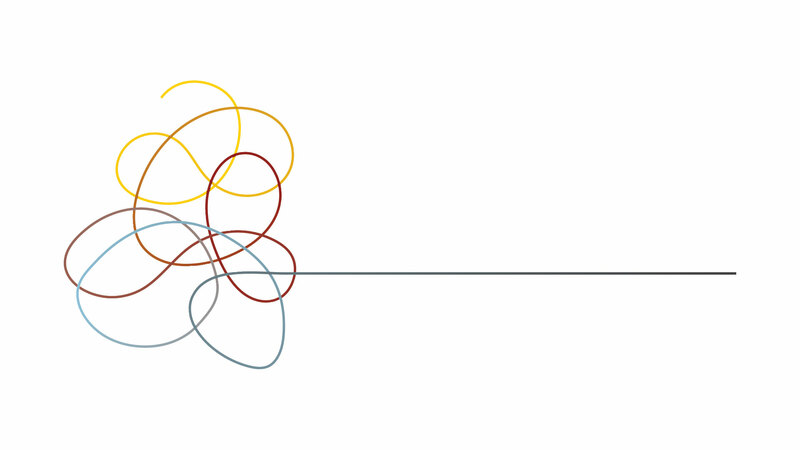 The squiggle is a visual that speaks to the ultimate goal of the Decoded series. It represents a subject, or series of subjects that progress from confusing and convoluted to simples and straight forward. The gradient color palette is derived from the four topic colors to give the series a cohesive look and feel. As with most live events, whether large or small, the branding has to have a unique flexibility. It ends up being used across the board, from large scale scenic builds to practically microscopic branding on pens. The use cases for CQ + Roll Call were no exception to this rule. The visual identity was used across all sizes and mediums; including but not limited to stage design, meter boards, badges, banner ads, sales collateral, brochures, etc.